In the year 2013, 'The Great Gatsby' showcases the new collection of Tiffany & Co. at the premiere of the movie held in NYC. The stars were seen wearing the Jazz Age jewels launched in the new Blue Book stunning collection of the Tiffany’s. The Jazz Age jewels ruled the year 2013 and so the book. The book was filled with almost 200 jewelry designs that were divulged to the jewelry lovers in the city, New York. Melvyn Kirtley, gemology head of the company reveal the trends as well as the style statement that the company launches year by year. Melvyn, as a principal spokesperson for the company in his statement shares the idea of launching Blue Book dates back to the year 1845, to showcase the world's best trending jewelry. Blue Book is a retail catalog that demonstrates the latest designs to the customers along with the people belonging to the fashion & jewelry industry. Blue Book to showcase the eminent history of the Tiffany & Co.
Melvyn Kirtley gives stress on his statement during an interview, which Tiffany always with its excellence turns, the glamorous historic jewels into classic new age designs. Tiffany & Co. inspires many jewelry lovers of America to make the tiffany’s designed jewelry a style statement. Some elegant examples of the company are, the platinum ring set in with the white diamonds makes the piece occasional bursts. In fact the designs too hold the dramatic contrast of pearl and onyx, the color combination is unique as well as beautiful to wear. The combinations designed by the jewelers of the Tiffany, make each piece attractive and capturing. The antique or the “old is gold” inspiration can be easily seen in the 20 designs fabricated by the company for “The Great Gatsby” collection. The collection was the clear aspiration for the design rules used in the era of the nineteenth or the jewelry designs famous in 1920’s. 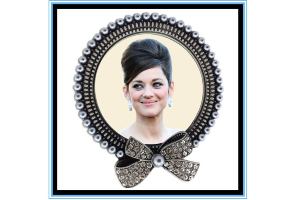 "Savoy Headpiece" a mesmerizing designs of the Tiffany's magnets the attraction of multitudes towards it. 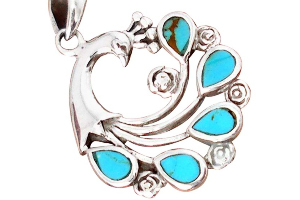 The design gives an impression of the jewelry worn by the Native Americans in their early periods. The headdress was created in platinum and fashioned with diamonds furthermore pearls. 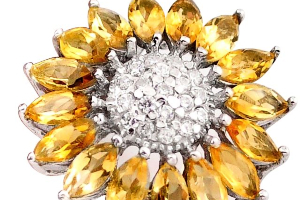 Further, the leaf shaped detachable motifs can be used as a brooch. Other legendary and splendid designs of Tiffany & Co. include a corsage necklace that holds the long rectangular shape or round cut diamonds embedded in the platinum. 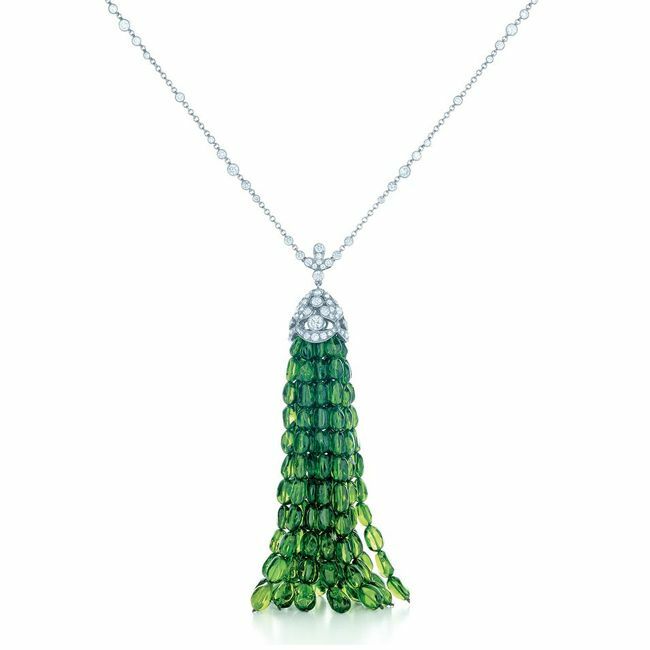 The neck piece moreover speculates as a refurbished model made in the year 1929 by Tiffany & Co. Further, the neck piece illustrated here was worn in the year 2013 by Anne Hathaway in Academy Awards. Tiffany is famed for its magnificent designs and practices that not only mesmerize celebrities, but the general public as well. 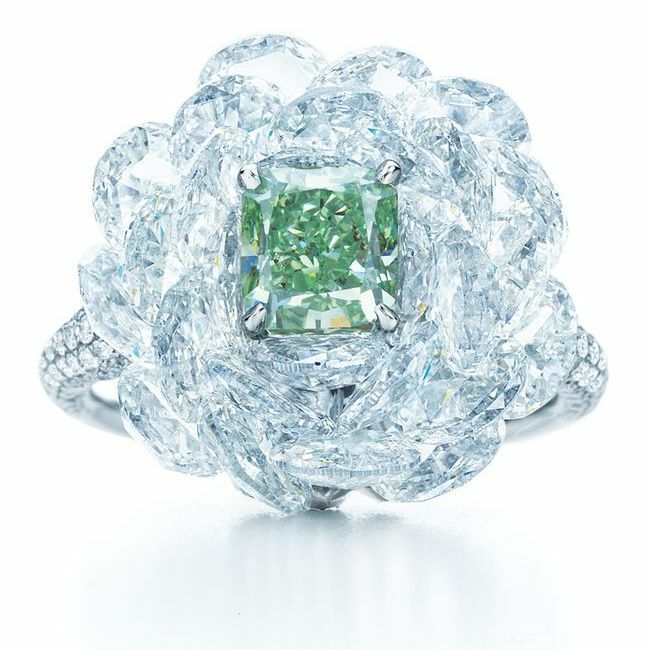 Tiffany’s 1.21 carat vibrant green diamonds radiates its sheen from rose-cut flower petals of the 27 carat diamond embedded in a ring. 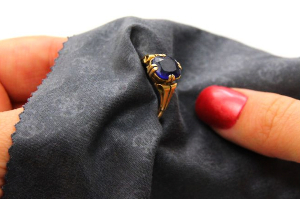 The setting fabricated with a platinum thread that makes the entire orb of the ring glittering. 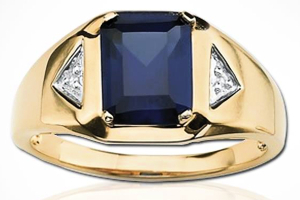 The skilled artisans of the Tiffany & Co. other than diamonds majorly use Tanzanite, Tsavorite as well as Spessartites in their beautiful figures. The color combinations they use are always breathtaking and capturing to the eyes. It is not the lie, as the stunning wristband is an enticing example. A 42.59 carat yellow diamond dangled from white shining diamonds along with the purplish-blue Tanzanite beads.